- Theodor Neagu - Member of the Romanian Academy, Bucharest, Romania. - Ioan I. Bucur, “Babes-Bolyai” University, Cluj-Napoca. Together with: Mircea Visan, Andreea Zaharia, Bogdan Savescu, Andreea Parvu, Adrian Munteanu, Alina Floroiu, Mihaela Gradinaru, Andrei Gruia, and Iulia Marcu (University of Bucharest). 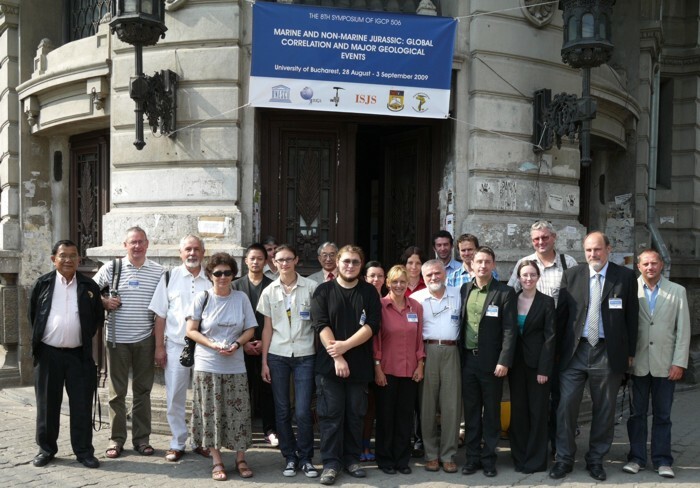 Adrian Munteanu (Romania), Iulia Lazar (Romania), Ioan I. Bucur (Romania), Mihai E. Popa (Romania), Karen Bacon (Ireland), Grzegorz Pienkowski (Poland), Artur Kedzior (Poland); second row: Assanee Meesook (Thailand), Michal Krobicki (Poland), Andrzej Wierzbowski (Poland), Akira Ishida (Japan), Keisuke Ishida (Japan), Alina Floroiu (Romania), Mihaela Gradinaru (Romania), Jozsef Palfy (Hungary), Petr Skupien (Czech Republic); third row: Dan Grigore (Romania), Robert Tomas (Romania). Higher resolution image here. 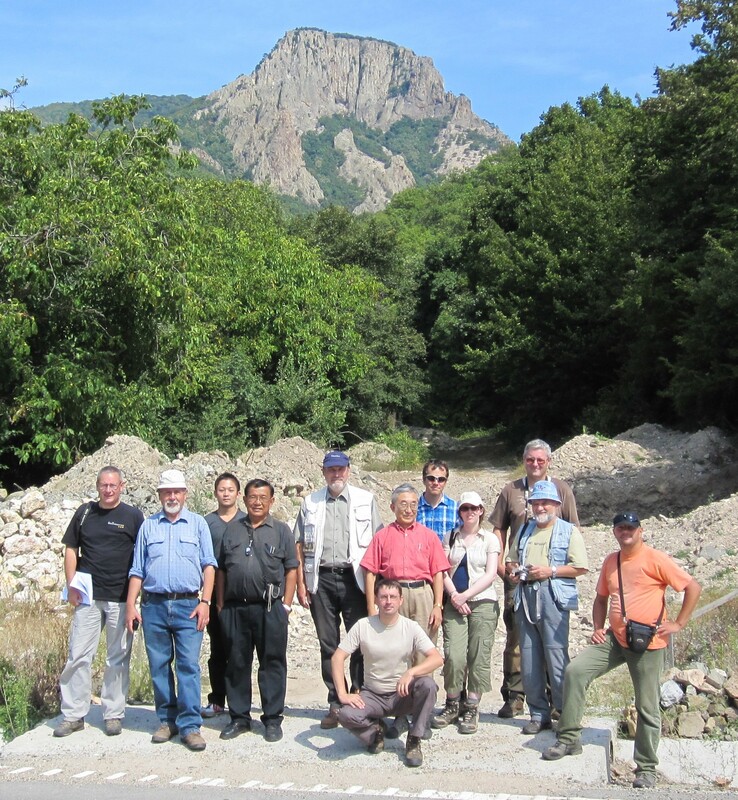 Participants of the 8th IGCP 506 meeting in the Danube Gorges, next to the Trescovat lava dome (Permian, Danubian Units, 1 september 2009). From left to right: Michal Krobicki (Poland), Andrzej Wierzbowski (Poland), Akira Ishida (Japan), Assanee Meesook (Thailand), Grzegorz Pienkowski (Poland), Mihai E. Popa (Romania), Keisuke Ishida (Japan), Jozsef Palfy (Hungary), Karen Bacon (Ireland), Petr Skupien (Czech Republic), Ioan I. Bucur (Romania), Artur Kedzior (Poland). Higher resolution image here. Field trip map of the 8th IGCP 506 meeting. For details, see the abstracts and field trip guide here (13,5 MB). Abstracts and field trip volume (13,5 MB). The volume includes the meeting's schedule, list of participants, abstracts, and the field guide. Additional information regarding the Lower Jurassic Steierdorf Formation (Resita Basin, Getic Nappe) can be found here. - Sauropod tracks in Anina, discovered during the meeting. - News in Episodes related to the meeting. - News in Przeglad Geologiczny related to the meeting. - News in Revue Roumaine de Geologie. - Dilcher-Popa field laboratory in Bigar, Caras-Severin County.